If you’ve found yourself in a situation where you need the assistance of a DWLI Lawyer Austin, you may not know what to do about this. Are you currently dealing with a suspended or revoked drivers license and it’s negatively affecting your quality of life? Perhaps you’re facing hefty fines and time behind bars. If so, you may feel overwhelmed, but it’s not too late to fight back and figure out a solution. Kelly McMahan Law can help you navigate this process in the best way possible. 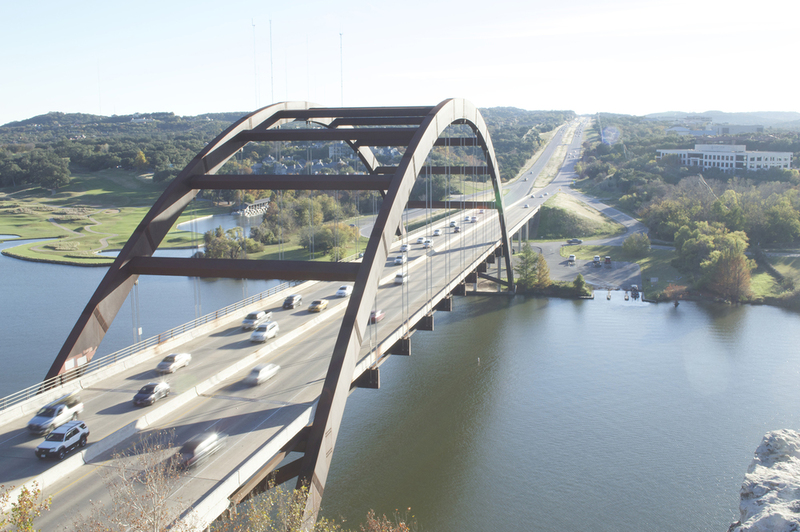 Driving is a privilege, but it’s something that is virtually a necessity when you’re living in Austin, Texas. We all know what this city is like, and we take the good with the bad. Most of us understand that reliably transporting around town is something we have to do. Depending on your lifestyle and day-to-day activities, you might be someone who’s on the road every single day. Because of this, you are more susceptible to getting pulled over and receiving citations than usual. States are always finding new reasons to pull over citizens and give them traffic tickets. However, in many cases, once a police officer has you on the side of the road, he or she will then try to pin additional violations on you. Something as simple as a speeding ticket could turn into a DWLI, DUI, or any other type of class C misdemeanor. In some cases, this can even turn into a class B misdemeanor or a felony. This is where things get very tough for the citizen. These charges can add up and cause a lot of stress and strife down the road. When you’re dealing with a DWLI case, your first thought may be to simply give in, plead guilty, and try to move forward. This is a common instinct that many Texans have. Unfortunately, police officers and prosecutors sometimes do their best to take advantage of this. These people may try to get you to believe that pleading guilty is always in your best interest, but this is simply not the case. Their only goal is to force you into paying a fine and serving some sort of prison sentence. This can have a negative effect on your record if you choose to plead guilty. In many cases, you will have to deal with increased prices on your auto insurance. In certain instances, you might even have trouble finding an insurance company to offer you a quote. Depending on your age and vehicle, you might already be paying high premiums to insure your automobile. This is not something you want added onto your plate of responsibilities and stresses. An Occupational Drivers License could be a great solution for you if you’re trying to avoid having your lifestyle ruined by this type of charge. Also known as an Essential Needs License, this can provide you with a legal way to transport yourself to work. Nobody wants to lose their job over not being able to get to work consistently. Make sure this doesn’t happen by letting us know. Navigating the licensing process is something that’s very important, and you’ll need a DWLI Lawyer Austin to help you through this. We can provide you with the advice, consultation, and representation you’ll need to handle this in the best way possible. In many cases, people do not realize they’re driving with an invalid license. Were you unaware that you had accumulated enough points on your license to cause it to be invalid? Perhaps the state never sent you any type of notice that stated as such, and as a result, you continued to drive under the assumption you had a valid license. This is a very common predicament, and in a lot of cases, you may be able to avoid experiencing negative consequences. Kelly McMahan is a licensed practitioner of law that can provide you with the legal advice and representation you’ll need. Born and raised in Texas, Kelly completed her degree in History (with a minor in English) from Texas Christian University. She went on to graduate from Texas Wesleyan School of Law in 2010 and successfully completed the Texas Bar Exam shortly after. With experience handling hundreds of traffic tickets and violations, Kelly McMahan Law can help you understand exactly what you’re going through. We take on all class C misdemeanors and we have a strong track record of helping our clients reach favorable outcomes. You may be facing a charge related to disorderly conduct, drug paraphernalia, or something else entirely. Whatever your class C misdemeanor might be, know that our team is ready to take on your case and fight on your behalf. Finding a DWLI Lawyer Austin may seem like a very intimidating process to initiate, but it’s most definitely one that needs to be taken seriously. If you’re not sure what to do about your pending legal matter and you need some assistance, Kelly McMahan Law is here to help you. For the best DWLI attorney in Austin, contact us today at 512-843-2889 to learn more. We can give you information on our services and how we can assist your case. Austin is a city in Texas located within the Travis, Hays, and Williamson counties. It is the eleventh most popular city in America and the fourth most in the Lone Star State. Over the years, Austin has become a great place to do business and grow a company. We come from humble beginnings that trace back to the early 1830s. Since then, we have since become a powerhouse in American capitalism. There are a plethora of Fortune 500 companies that do business in our city. Google, eBay, Whole Foods, and Amazon all have offices here. If you’re a business owner looking for the next big opportunity, it may be right here in Austin! U.S. News & World Report ranked Austin as the best city to live in when compiling their rankings for 2017.